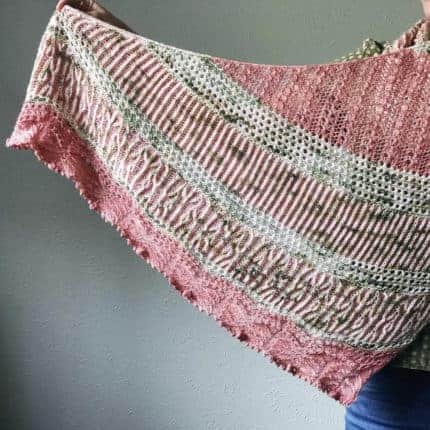 Dottie Jane is a beautiful, feminine shawl designed by Lesley Ann Robinson of Knitgraffiti. 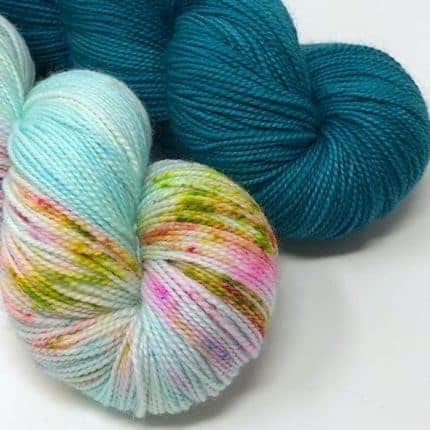 Lesley Ann is known for her drop dead gorgeous brioche patterns, and when she chose to work with my signature colorway Hattie Jane I was very touched. 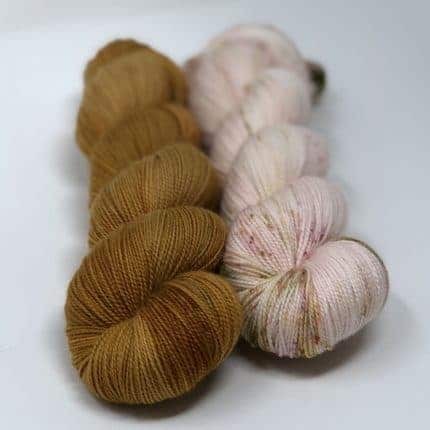 We talked a little bit about how my colorway was named after my grandmother Hattie Jane who had passed away long before I was ever born, and her grandmother Dottie who had recently passed. 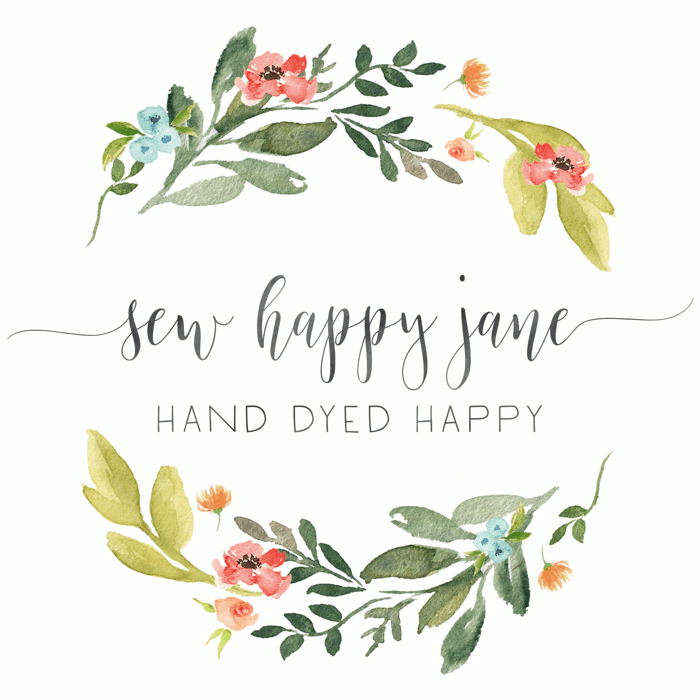 It was decided that both of our grandmothers would be a part of this design, and Dottie Jane was born. 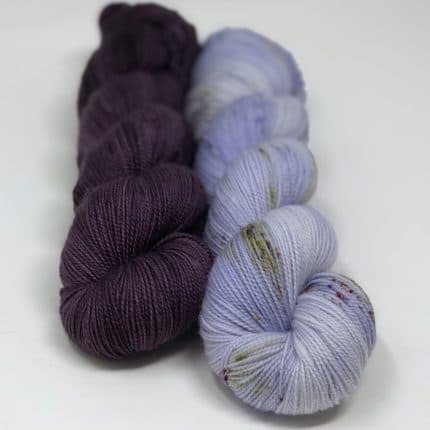 This week I’m stocking the shop with two skein bundles perfect for knitting Dottie Jane or any two-skein shawl. 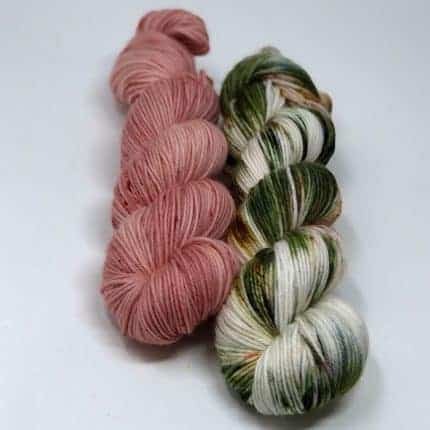 And as a nod to the Walla Walla, WA, shop Purl2W2 KAL that this design was inspired and organized by, I’ll be donating $5 from the purchase of any two-skein bundle from April 11 to April 15 to my local YWCA. I appreciate the work they do to eliminate racism and empower women in communities across the nation. 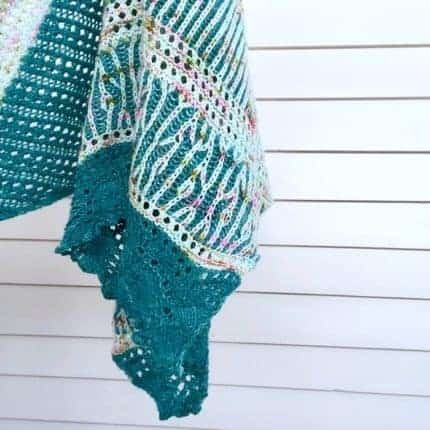 Lesley Ann knit her shawl using Hattie Jane, and my shawl sample was knit was Whiz Bang and Teal-E-O. I also have several other bundles in the shop for you to choose from. Happy Spring! This shawl is perfect for a little dose of happy to brighten your knitting basket.